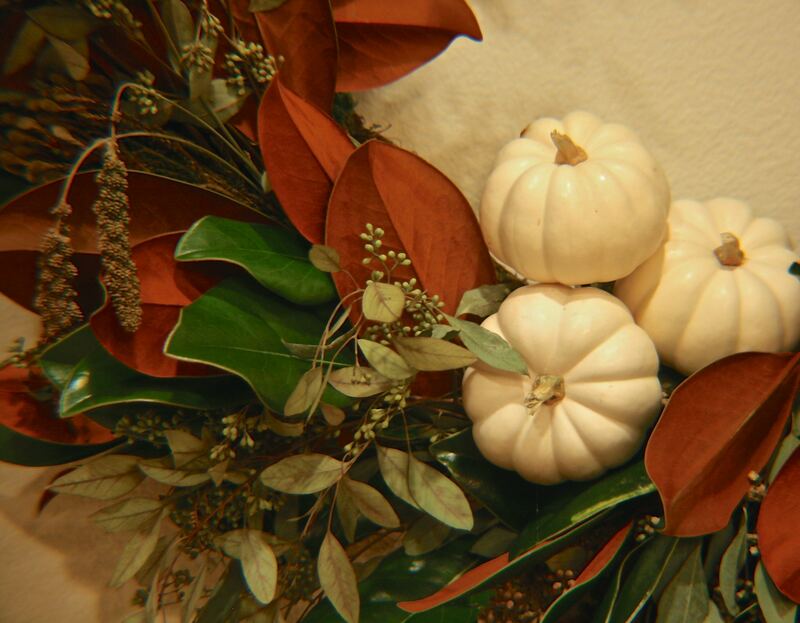 An easy DIY Fall Wreath Tutorial | Hey, Girlfriend! Fall is one of my favorite times of year. Being a California girl, I don’t see many changes in the season except for a slight drop in temperature and an occasional rain storm. The thought of wearing a cute coat, sweater and boots makes me smile. I love the chill in the air, the smell of crackling fireplaces and cozy warm throws. 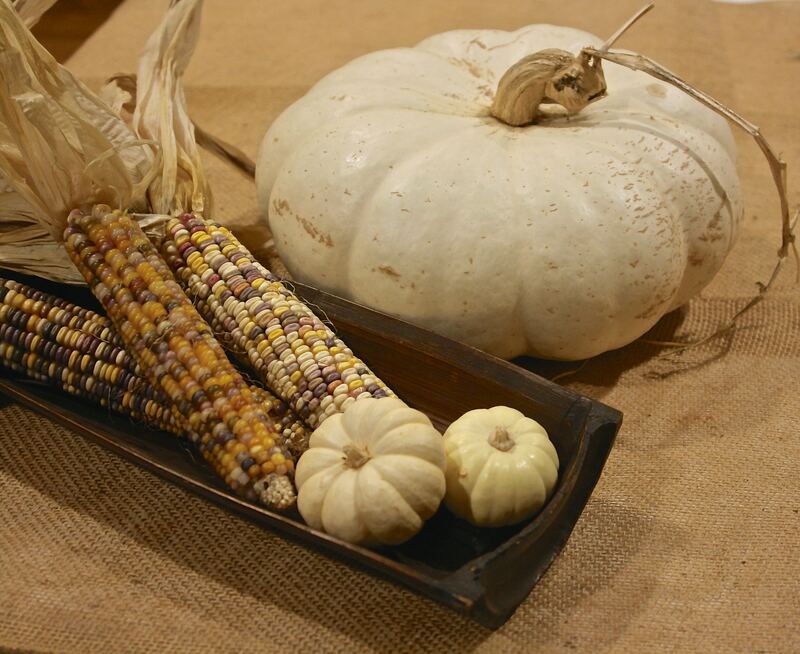 I also love to add a few elements of Fall to my home to celebrate the season. The wreath that I made above only took me a couple of hours to make. I think you will find it easy to create. I used magnolia tips, seeded eucalyptus, millet, and mini pumpkins. 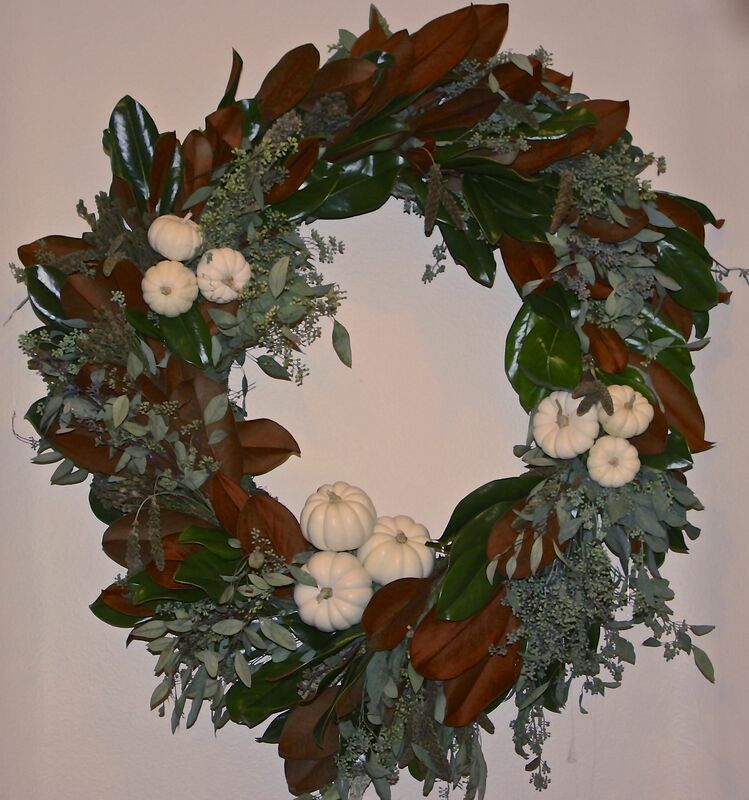 I prefer natural materials and I chose these as they will dry nicely and the wreath will last a long time. You can either trim your yard or purchase materials from your local farmer’s market or florist. I read that if you give your pumpkins a bath in water with bleach added, they won’t rot as quickly. I gave it a try so we will see what happens. 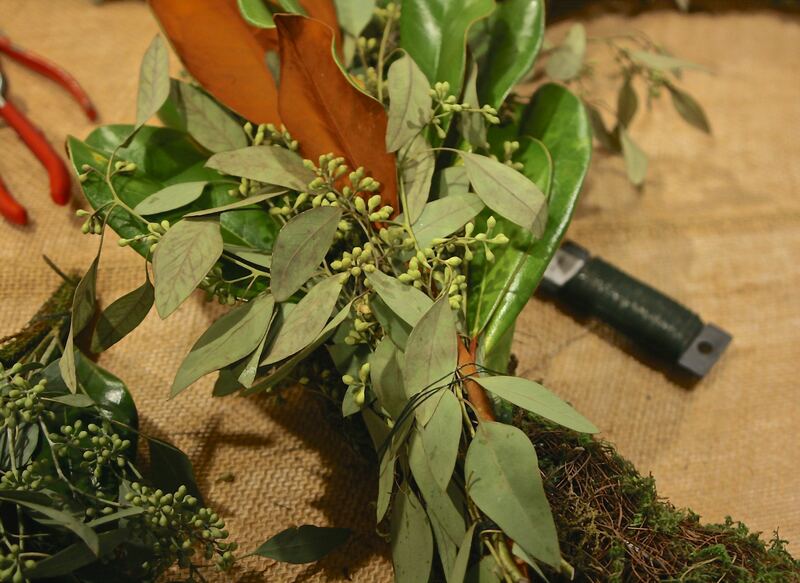 First, make 10″ bundles of greens, layering in different textures and wire together at the base. 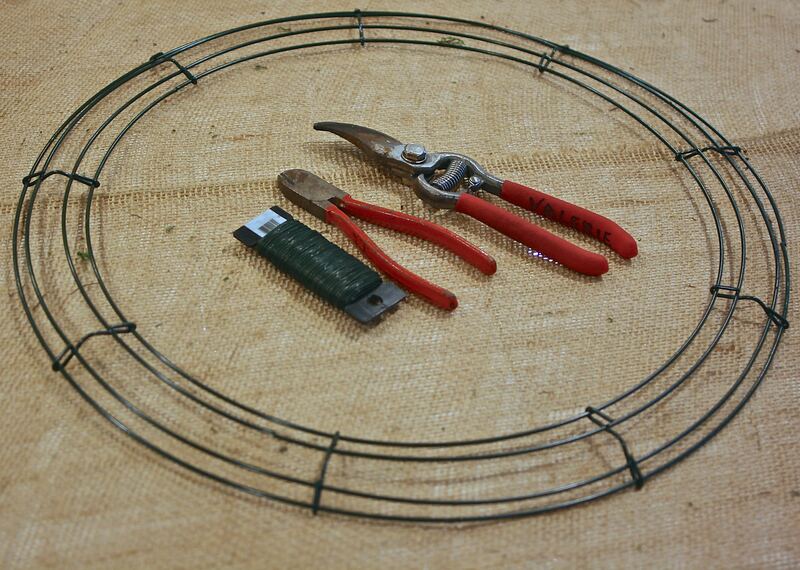 Attach the spool of wire to the wreath. 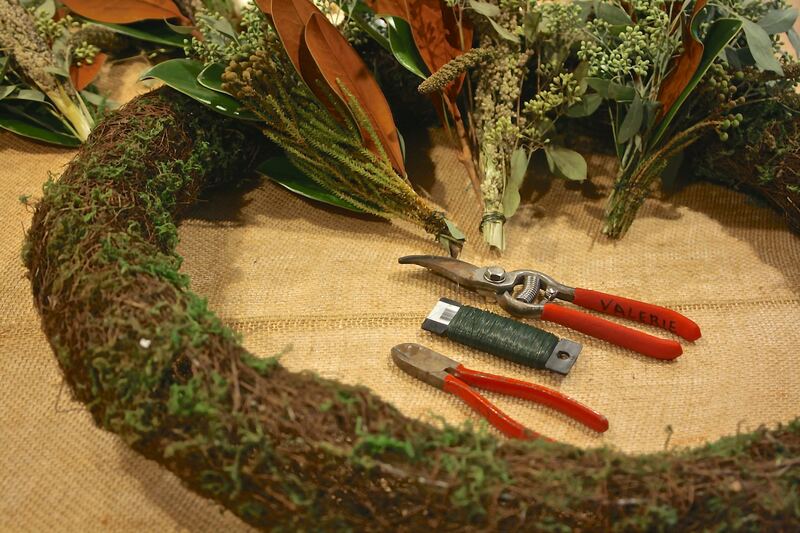 Lay the first bundle on the wreath and attach it with the wire wrapping it a few times so it is nice and snug. Add your next bundle laying it the same direction as the first. Tuck the cut end of the bundle under the first and wire to the form. Continue doing this until the bundles meet. Add your pumpkins by skewering with hyacinth sticks or wooden skewers and hot glue to secure them. Make sure no wires are visible. If they are, just trim some leaves or greenery and glue in place. 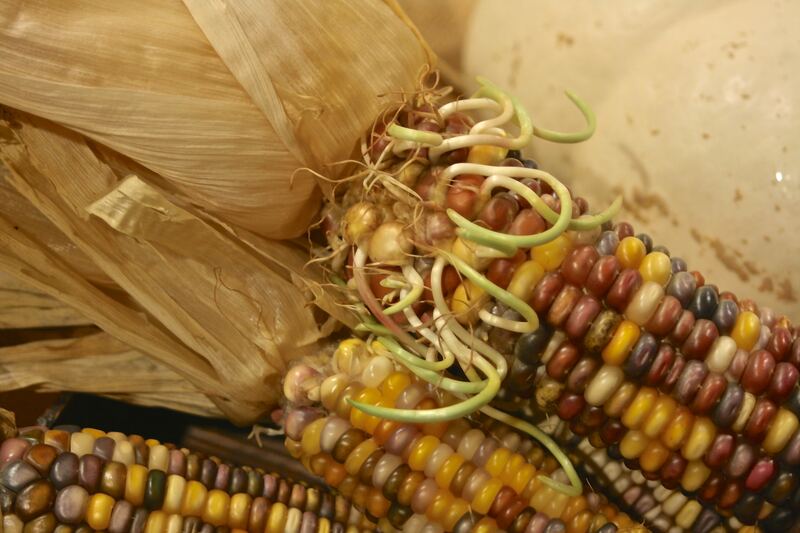 I thought about adding this Indian Corn to either the wreath or just to display. Aren’t the colors pretty? I dropped it in water to try and soften the husks. I forgot about them and one of them decided to sprout. I wonder if I planted the seeds if they would grow? What do you think? What a great tutorial! I am so glad you shared this! If one had a choice between the two wreath forms you showed, what are the benefits with each form? I am wondering if the benefits would be price, shape, ease of use… I am assuming grape vine wreaths or twig wreaths would work, too. The moss covered wreath was a bit more expensive but I liked the roundness of the foundation. I was able to add more materials so it became much more fluffy than if I had used the wire one. Plus, I could add the pumpkins and without needing to put felt on the back of it. The wire can scratch your doors so it is best to add fabric or felt. Yes, grapevine wreaths would work too!